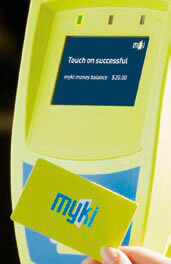 Victoria’s Transport Ticketing Authority has announced the recall of 30,000 myki cards, according to ZDnet. The cards, which were mainly recalled from stations and not people, were issued in an “inactive state,” according to Transport authorities. Only 25 inactive cards made it into the hands of customers, who will be provided with replacements. So far 130,000 myki cards have been registered in Victoria.